The Chattahoochee River provides more than 70% of metro Atlanta’s drinking water to approximately five million people. Yet the watershed area north of Atlanta is among the nation’s smallest to serve a major metropolitan area. 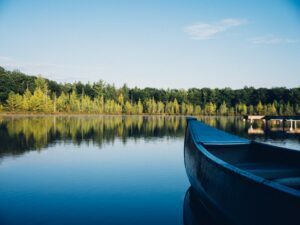 This small watershed size—coupled with our growing population, altered landscape and changing climate—demands we be wise stewards of our water resources, to ensure we have enough clean water today, tomorrow and for future generations. We support sustainable regional water planning and supply options, and promote economical, commonsense solutions to reduce water consumption. CRK has educated thousands of stakeholders, students, businesses and policy-makers about Georgia’s water crisis. CRK has also worked to help resolve the decades-long Tri-State Water Conflict while being a voice for the resource so many people depend on. 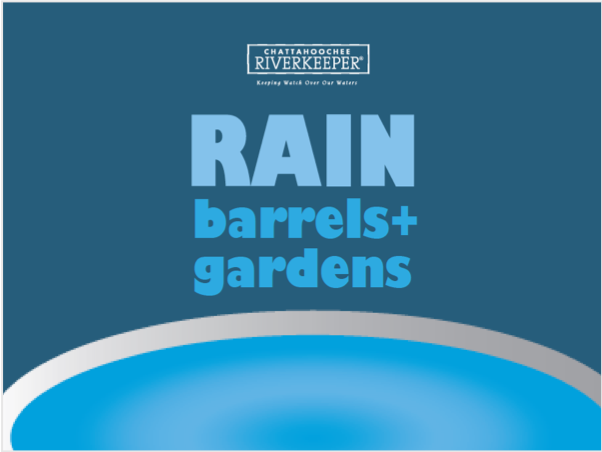 Since 2009, Chattahoochee Riverkeeper (CRK) has worked with The Coca-Cola Company to harvest rainwater with rain barrels. The Coca-Cola Company provides used 60-gallon syrup containers for use by homeowners. 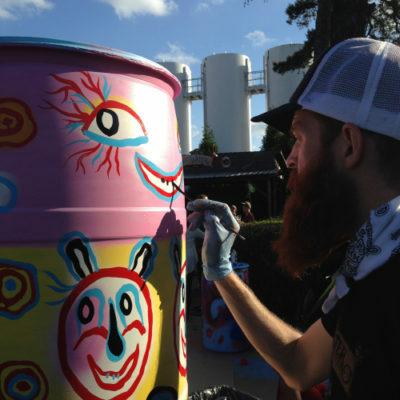 CRK workshops teach homeowners about water conservation, water-wise gardening and rain barrel installation. It’s up to all of us to use water wisely. You can also purchase barrels and kits from the CRK Store and pick up directly from one of our offices ($35). For more information, contact Erik at efyfe@chattahoochee.org or (404) 352-9828. Want Other Options for Harvesting Rainwater? Visit our Resource Library, where you’ll learn more about this critical issue and find practical tools to help you be more water-efficient at home, work, and in the garden. Visit our Resource Library, where you’ll learn more about this critical issue and find practical tools like those below to help you be more water-efficient at home, work, and in the garden. 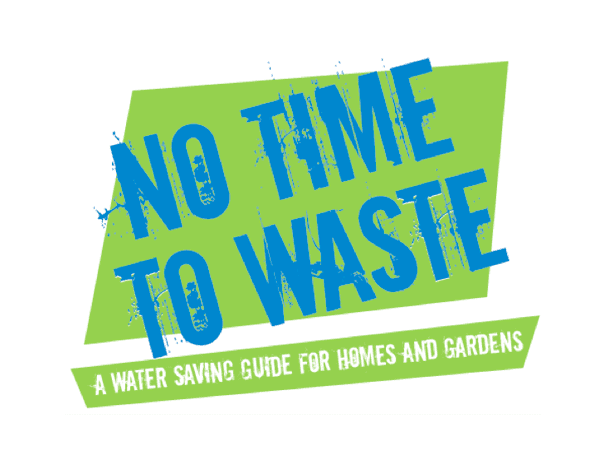 This brochure is a water saving guide that teaches ways to be more water efficient at home, work, and in the garden. 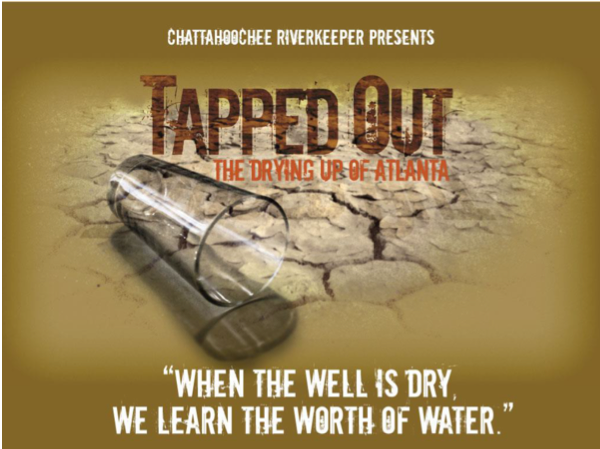 This presentation examines the causes of the water crisis in the Chattahoochee River watershed and offers practical solutions. This report provides an update on water conservation efforts implemented by local governments and businesses in the metro region. This workshop teaches homeowners about water conservation, water-wise gardening and rain barrel installation and harvesting.